How do you like the look of this Media Center? Before we start I’d like to warn everyone that this guide involves a lot of downloads. It’s also quite extensive, you may wish to make this a weekend project. 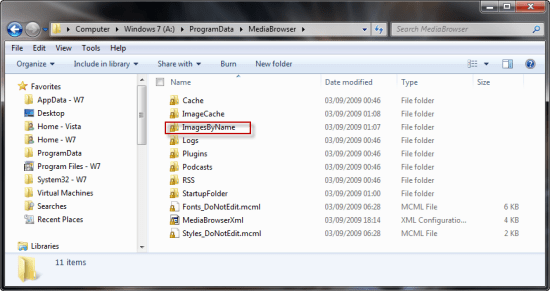 Some of this guide is aimed at experienced users of Windows & W7MC, it includes modifying system protected files and should be approached cautiously. I’m using .avi movie files. You may have different file types and might have to adjust some of the settings shown in this guide accordingly. With that said lets crack on! We’re going to need some tools to begin, so we need to start a few downloads before we can go anywhere. Install all but the last two. First things first, let’s organise our movies. You’re going to need to have your movie collection regimented if this guide is to succeed. You can either do it manually or use Rich’s batch file. 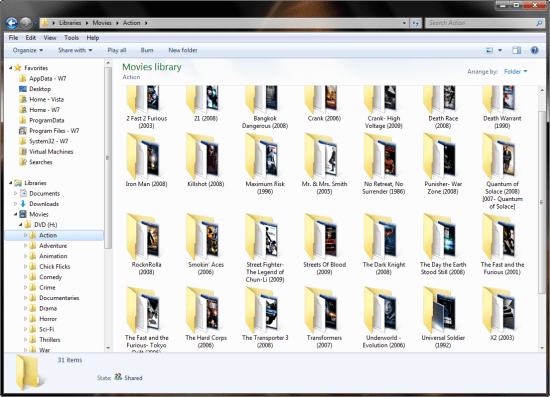 Each movie must be in it’s own folder. I’ve found through trial and error that stating the year in brackets after the movie title helps metadata grabbers do the job efficiently. 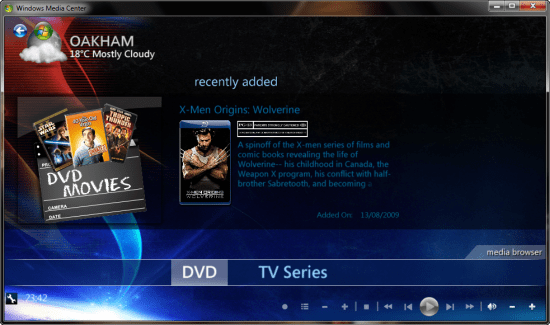 You’ll need to do this with every single movie you want included in Media Browser (MB). If you have a large movie collection, it’s also worth putting the movies into genre categories. 2. Getting MetaData For Your Movies. There are a lot of tools out there for grabbing MetaData for movies. My favourite is meta<browser/>. Using meta<browser/> can take some getting used to and you’ll probably have to practice with it. The results are most definitely worth it though. 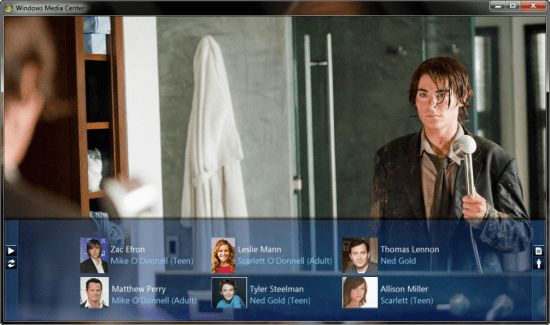 Meta<browser/> will download multiple DVD covers, backdrops, banners, episode thumbs, ratings, synopsis and actor images, you name it, meta<browser/> has it covered. 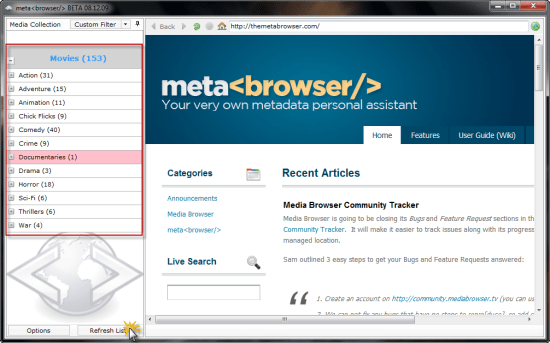 To get started, open up meta<browser/> and go to Options at the bottom of the window. Click on Add a new location, choose your movie folder and be sure to press enter after choosing. Click Save. At the bottom of the main windows click Refresh List and you’re movies will show in the left hand pane. Click on a movie you want to process and click on Fetch Movie MetaData. 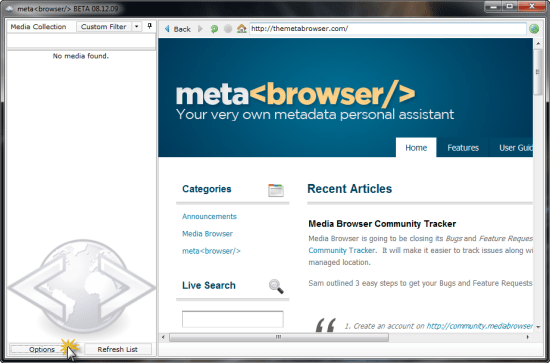 meta<browser/> will then begin to download all the information you need. You can choose from multiple backdrops, banners & DVD covers. I advise starting with small folders or individual movies. If you find you’ve messed up, don’t panic! 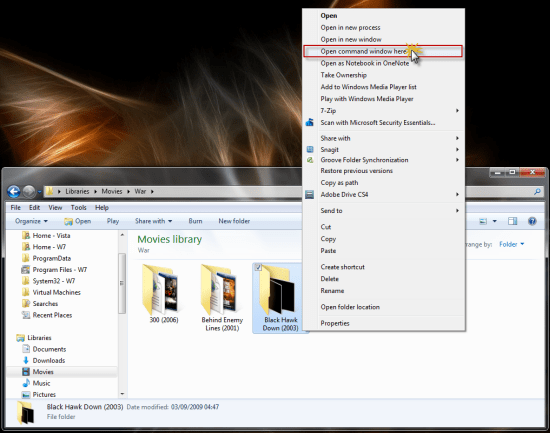 Go to the movie folder on your HDD and delete everything apart from the actual movie. There are several ways to process your movies. I’m giving the simplest example. You may want to experiment by copying a folder of movies to a different location and running through metato practice it’s different functions and find which way suits you best. 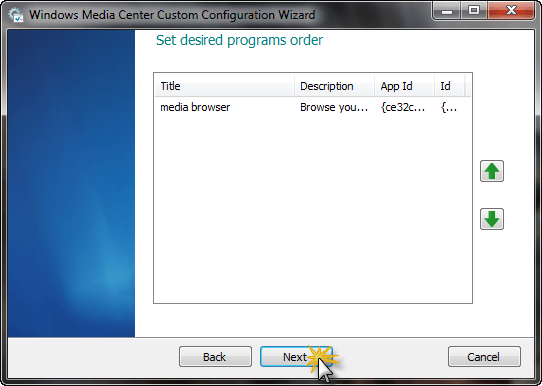 Start the Media Browser Configuration Wizard. Click advanced to open all of the extra option tabs. Click Add to start adding your media. After you’ve added your first folder, you’ll see that you can specify more than one location for that particular media. eg. I’ve chosen my DVD collection which is on H:\ i may have another folder on C:\ that i also want to add to ‘DVD’ in MB. 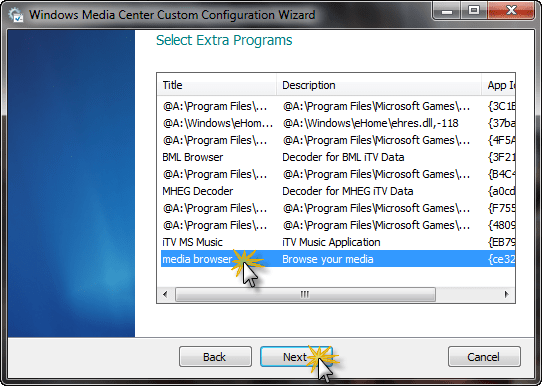 Treat this as you would the new library function in Windows 7. Once you have all of your folders added, you’ll probably want to apply images to them. Go here for an excellent collection of Movie Genre icons. Click on the folder you wish to change, click on Change Image and navigate to the image of your choice. MB will automatically save any changes made to the configuration wizard. 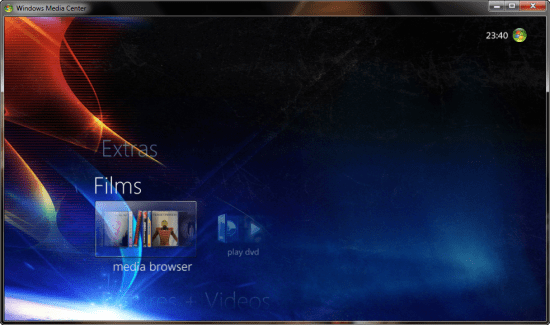 Media Browser supports podcasts, multiple plug-ins, the ability to play a movie from a mounted ISO, and additions of media types for external players. Have a play around with the ‘display’ in particular. The settings in the display tab in fig. enables the views you see at the top of this page. Feel free to mess around with them to suit your taste. 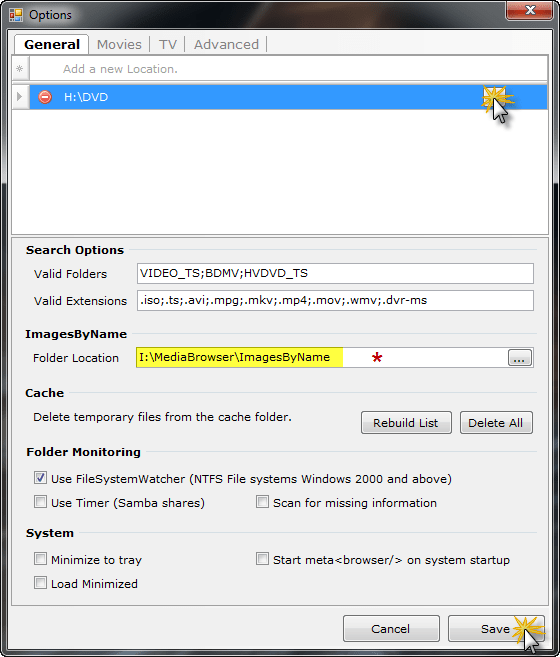 By default Media Browser doesn’t add a folder for the actor images metadownloads. ProgramData is hidden by default, you’ll need to make sure that the radio button for ‘Show hidden Files & Folders’ is checked on in Folder options (in any explorer window). 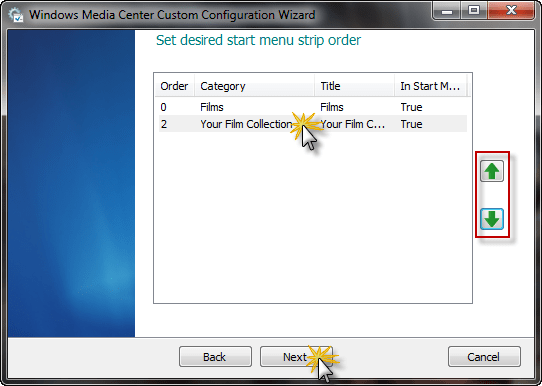 The latest version of Media Browser doesn’t automatically add a ‘Media Browser Strip’ to W7MC, you’re going to need to create a custom strip. 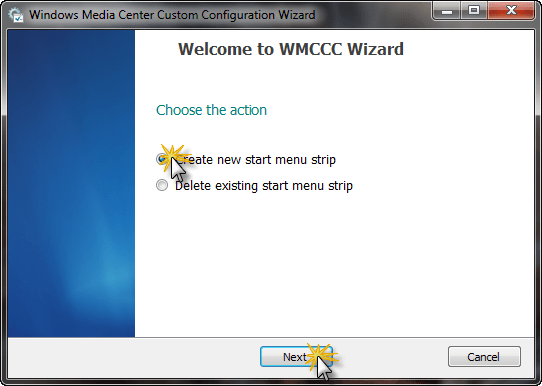 To do this, open up the WMCCC program you downloaded earlier and click on Create a new start menu strip > Next. 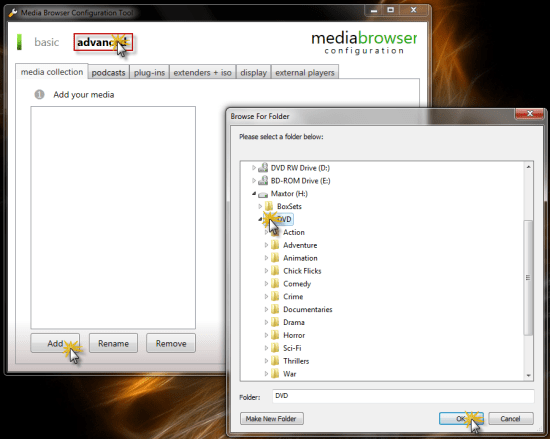 Select media browser from the list of available programs. If you add more than one program to the strip, set the program order and click Next. If you have more than one strip already installed, choose the start menu strip order and hit Next. 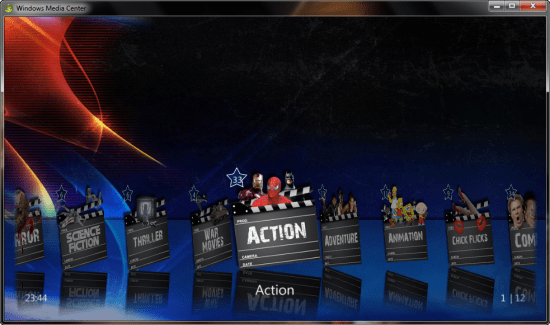 Now when you open up W7MC you’ll see a Media Browser strip, click it to access your new movie library and start having fun! 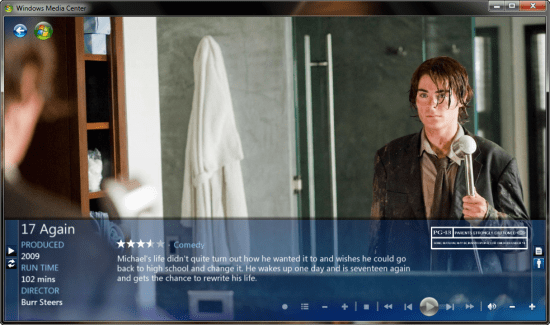 You are genius man very effective and simple tips for full media center experience , this will not only gives us control but also improves performance and saves time for searching. 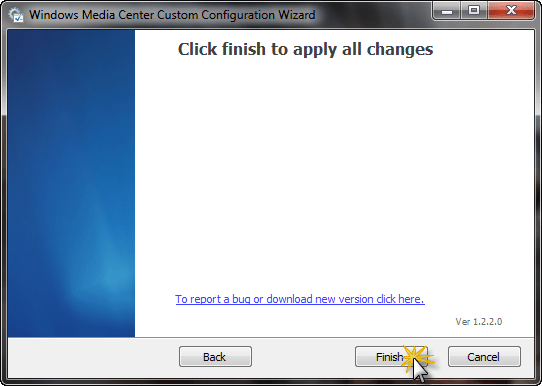 Most of this is compatible with Vista, but the guide is designed for Windows 7 Media Center, so you may find some differences arise. 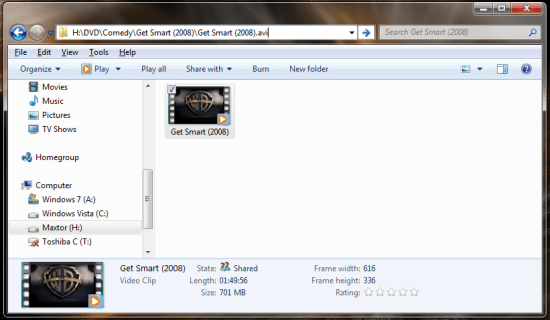 Windows 7 Media Center is amazing. Can’t wait until Windows 7 retail comes out. By then they should have the Netflix addon setup with it. Using Vista’s MC for now(still works great but not quite as nice) with our HD TV via an HDMI cable. Great guide! THIS IS SO AMAZING! Why don’t you just release a patch to do this? Just double click, and install? Excellent tutorial…can’t wait to rip into it, but as you said…maybe for a weekend project. One suggestion…could you make the tutorial into an easily downloaded PDF file? Tony, I have plans to do make this four-part guide, by Stu, into a PDF book–in the near future. Thank you for your interest. That’s freakin’ sweet!. I’m definately doing this with media center! Thanks a lot for this too. Now it’s a lot easier for me to find my movies when I want to watch them. Nice, mine looks so much nicer now, it is excellent. WMC always looked so bland. The tutorial looks really good but I can’t see anything after 1a until part 2 which start at 4, where is the rest! This is a great guide, I have been needing to organize. Just one thing, the link to the batch file is not working. Thanks Andrew, good spot, here a new link. Forget that comment about the link. It worked in Firefox, just not IE.